In The Truth About VoIP - Part 1 we looked at the basic differences Voice Over Internet Protocol (VoIP) makes in the Telephone industry today. Now let's take a look at some other major changes VoIP is making today. But how do companies like C-beyond and Vonage end up giving their customers “unlimited” long distance in North America for a flat rate? They can do it because they are aggregating all the calls from all their customers together and spreading the costs out across all the users. With 10,000 users (10,000 lines), some will use lots of Origination minutes. Some will use more Termination minutes. Some will hardly use the lines at all on some months and then use them heavily on Mother's day... The end result is that the larger your number of customers / lines, the less the usage will vary month to month. In years worth of studies, the average business line use is 1100 minutes per month. Residential drops to about 500 minutes per month. So at 1 cent per minute plus $1.00 for the initial DID number, a residential line should cost Vonage $6.00 per month on average, and a business line $12.00. So if they sell them at $24.95 and $49.95, they're way ahead. So ultimately, what have we got with VoIP? We've got a system where you can make one or 5 or 500 calls at the same time on “one” phone number. Where the actual “cost” of the system is billed in time used at less than 1 cent a minute (actually far less if you're a big enough user), and then flat rated to the customer by averaging lots of user's calls together. Where the majority of the infrastructure costs associated with making it all work have been moved from a expensive centralized network (Phone Company and wires on poles) to a more de-centralized system (local VoIP phones or PBX, Internet provider, upstream VoIP operator, etc.) with the costs of the “network“ covered by all these different companies (and ultimately the consumer, although it may not be obvious to them). A much more efficient system which can handle many more calls over the same bandwidth than the old phone network can. 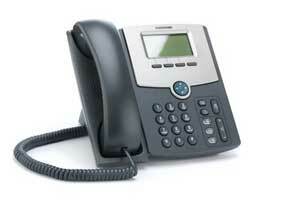 And one which will ultimately change the nature of phone systems forever. So where does this leave us? For the average customer or small business, a fixed rate of $24.95 or $49.95 may be just fine compared to what you would pay the local phone company. It's not a bad deal, and you get lots of neat features thrown in. That's why Vonage and their ilk are getting so many customers right now.